It can be very tempting for marketers to try to join trending discussion on social media, especially if the trend happens in your industry. You can’t hide the envy when you hear about the number of pageviews on a related Buzzfeed trend-jacking article; your email and RSS feeds are already flooded with different takes on the topic; and your boss has just issued an urgent directive to boost social media engagement rates. Before you run off to write Tweets and put a last-minute Photoshop request to your design team, ask yourself: am I making the most out of this social media trend? Just like everything else in the world of social media, trends come and pass at lightning speed. And while all the top industry players would rather lead the pack instead of jumping on a bandwagon, sometimes you risk appearing out of the loop unless you offer your angle on the latest hot topic. If you decide to jump on a social media trend, do it right—and we have some tips to help you do that. One of the ways brands try to reach their younger audiences is by dialling into familiar parts of Internet culture: including memes, slang, and references normally used by people in a particular demographic. These Tweets encapsulate the ongoing social media battle between two breakfast giants to determine which one is worthy of the title of the most hip of family restaurants. And they’re not alone in the race: several restaurant chains, including Wendy’s, McDonald’s and Taco Bell have revamped their social voice to match their younger audiences on Twitter. The problem? It can become difficult to stand out. While matching your brand voice and messaging to your target audience is a recommended practice, it’s important to keep a healthy balance between original messaging and trend-jacking posts. Consider the benefits of sticking to your brand voice: the subtler your reference, the more “insider” it will seem to the audience you’re hoping to reach. As an example, consider the trend of making custom brand emoticons that has given emoji aficionados a variety of Broad City or IKEA-themed options. These inventions stem from the widespread practice of using emojis to illustrate text messages and Instagram captions—which, according to latest studies, have reached epic proportions over the past year. Foot Locker exemplifies one of the more successful trend adoptions with their “shoemoji,” a set of 80 individually drawn emoticons representing different types of sneakers available for sale at the retailer locations. Foot Locker’s efforts stand out for several reasons: for one, the emoticons are carefully matched to the style of the original set of emoji, while keeping the “content” of the shoemoji focused on their own brand’s message and acknowledging partnering brands. 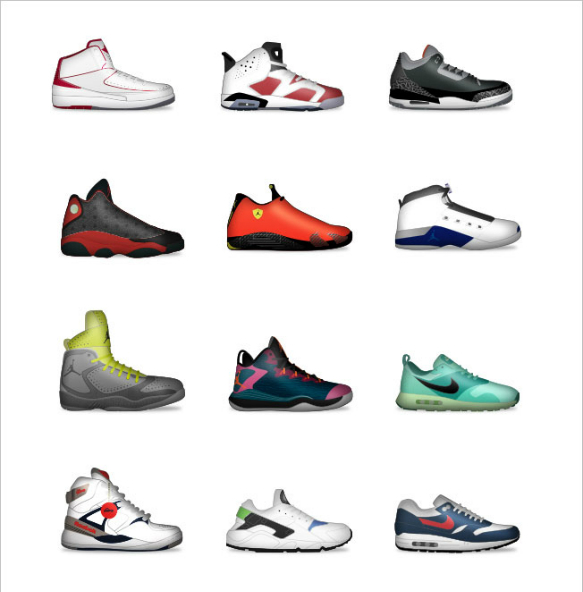 Sneaker emojis also served to promote Foot Locker’s brand new app, in which they were housed—similar to the iOS 8 update earlier this year, where new emoji were a clever move to get people talking about the software. Twitter is a great source for finding currently trending content. For example, on a Monday, you might see a #MotivationMonday hashtag trending on Twitter, or a leftover topic from the Hashtag Wars from the previous night’s episode of @midnight. These are often meant to facilitate a Twitter chat that any user can join; and in recent years, many of these discussions focus on sharing personal experiences on topics sparked by current events. Not only does Krispy Kreme use the hashtag in the right context, their social media team also uses the trend to start their own discussion—quite successfully so, as the Tweet ended up getting over 200 interactions and over a dozen @replies. My guess is that, if Krispy Kreme didn’t include a mini-call to action in the copy of their Tweet, and just left it as “#IOnceHadABossWho gave me doughnuts,” they wouldn’t have seen nearly as big of a reach. Not all attempts at joining a trending conversation bring social media success. Before you decide whether or not to include a trending hashtag in a Tweet from your business’s official account, try to find the original source of the hashtag, or at the very least, read other Tweets in the discussion thread. One North American brand had to do some serious damage control on their Twitter account after tweeting a light-hearted comment without researching the context of the hashtag. The brand’s social media team quickly removed the Tweet once they realized their mistake, but not before attracting some heat from the other participants. This example goes to show how much exposure your brand can get for a single Tweet in a large discussion—and how serious the consequences can be if it goes wrong. While you should always know the context of a trending topic you want to discuss, sometimes the most effective way to join a discussion is by reframing the existing trend. This doesn’t mean that you should find a way of promoting your brand through every trending discussion; always consider the value-add rule of trend-jacking. Earlier this year, a photo of a dress took the Internet by the storm: no social media feed was left without at least one person wondering the true colours of the garment in the picture. Naturally, in the midst of all the best-of social messaging summaries, explainer articles, and commentary on viral content, social media content creators were racking their brains for ways to make #TheDress work for their brand (some were even quite successful with it). However, nothing generated in the duration of so-called Dressgate came close to the effect of a campaign from Salvation Army’s South African headquarters. An advertising agency working with Salvation Army used the dress colour debate to raise awareness for the issue of domestic violence, while also highlighting SA’s work with women who have experienced abuse. The campaign received media coverage worldwide, seeing engagement reach up to 3000 Tweets per hour on the day of the launch. While critics of the campaign questioned the propriety of culture-jacking a viral photo for such a sensitive cause, the response was largely positive: the billboard “made you look,” which, per Salvation Army’s message, doesn’t happen as often as it needs to when it comes to reporting cases of domestic abuse. Sometimes, the easiest way to one-up the competition is by changing up the game itself. Start by finding new ways to discover trending topics on social channels other than Twitter; this can give your brand’s accounts an engagement boost, since your messaging won’t be lost in the noise of the popular hashtag. If you’re determined to stay on Twitter, you can start a discussion of a trending topic under your own hashtag. Our social media team used this method to engage users on Star Wars Day: we used the hashtag #IfStarWarsHadTwitter together with the trending #StarWarsDay and #MayThe4th to invite our audience to share their vision of Star Wars characters navigating through social media. Help your employees capitalize on trends the right way, with custom social media education.